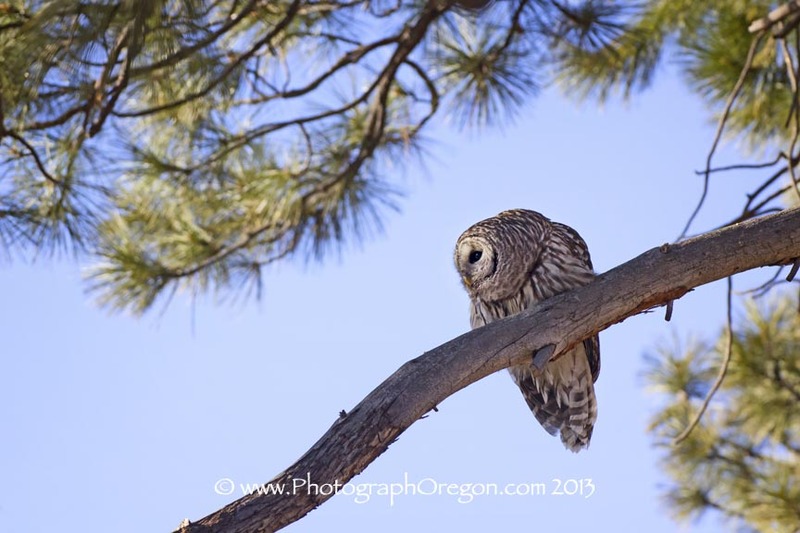 Recently in Farewell Bend Park in Bend, Oregon there were two barred owls (Strix Varia). Then hung around for many weeks entertaining the crowds, of which there were many, photographing it. At any time if you wanted to find one of the the owls, all you had to do was go look for the crowd. It hunted in front of crowds, showing off it's voles all day. Cars were lined up all down the road to see the bird, which was often perched on a light post. It seemed to really like watching the kids on the playground. 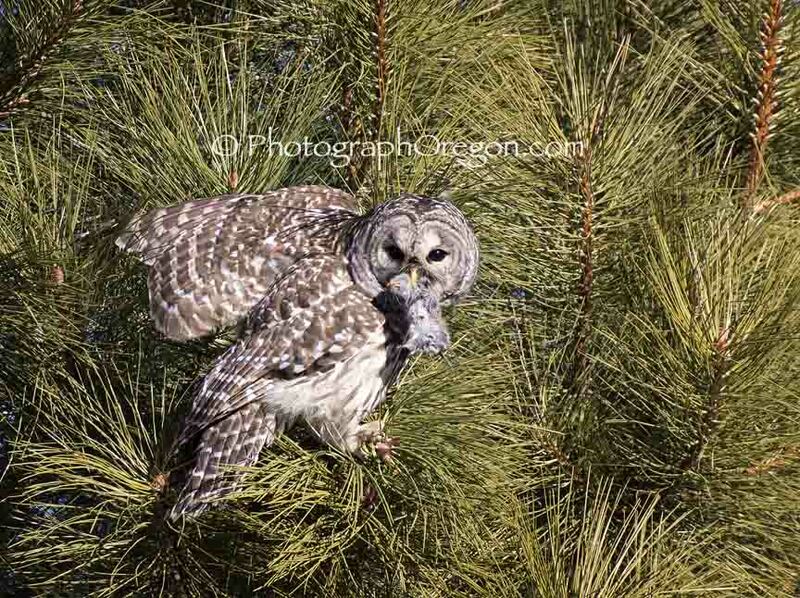 Most people thought there was only one owl, but I managed to document two of them within 1.5 miles of each other. I photographed the one and then went right to the other one so I got them about five minutes apart. Unless it hitched a ride with my. There were two. This is the second one. She left her tree at night and would return to sleep in the daytime. 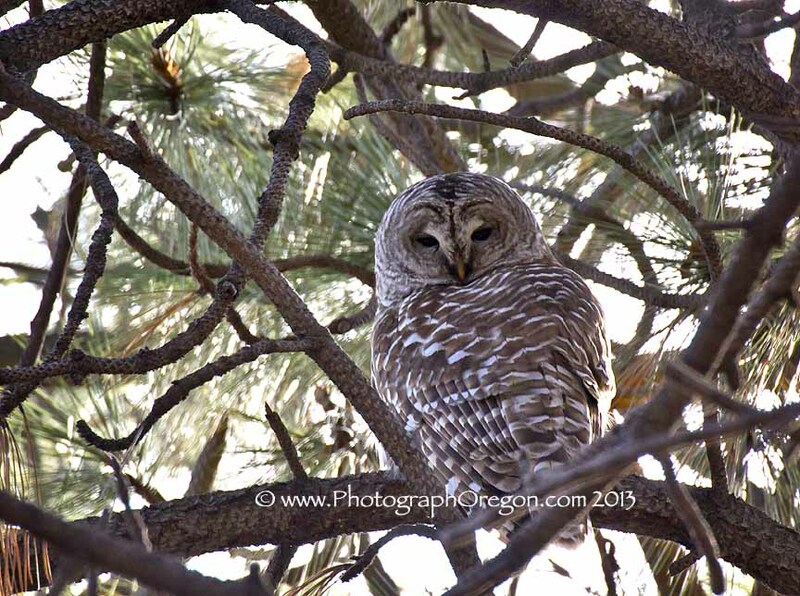 On the day I was documenting the two owls the one in the park was down on the trail. It was so beautiful. It sat like gold in the trees and moved down the trail often. 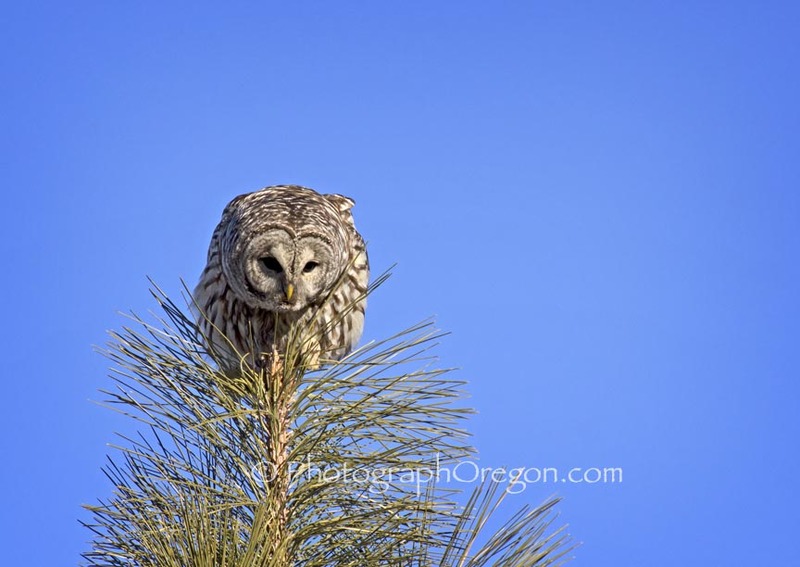 Late on March 5th I got word from some friends that they had found a dead owl at the park. I got in touch with Fish & Game and the Forest Service. 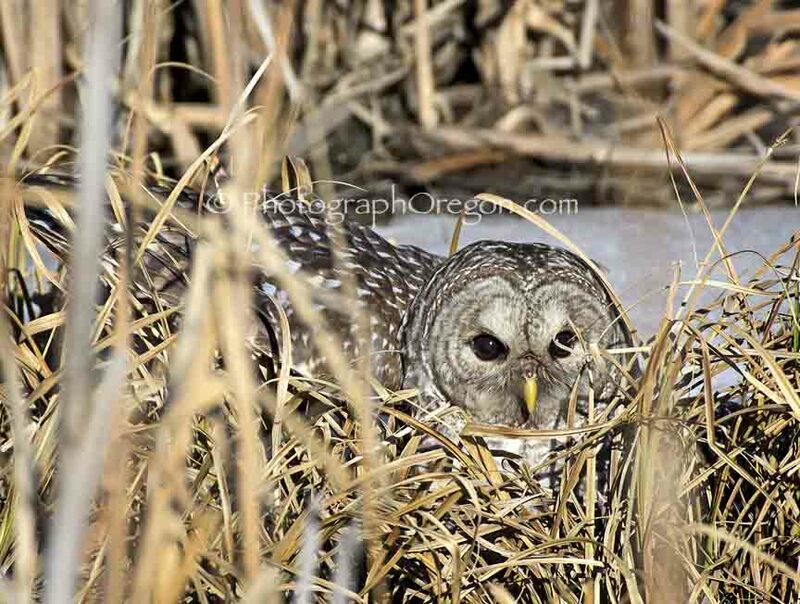 They recovered the body of a barred owl. From what I heard, it likely was hit by a car. 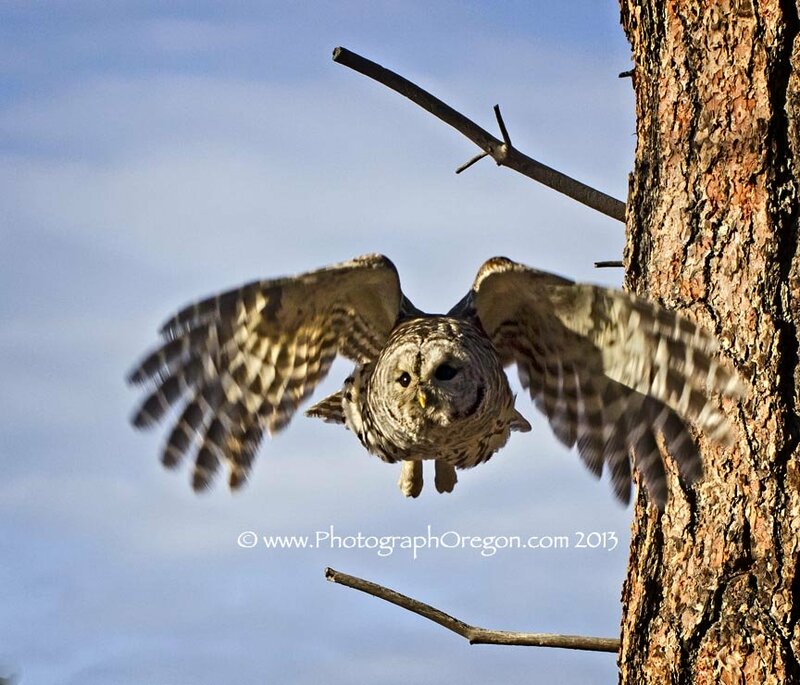 Owls are very lightweight and often get sucked under cars if they are trying to get prey in areas near the road. No one has seen either bird since. Thanks for the memories our fine feathered friend. You gave a lot of people a really nice glimpse of wild beauty.